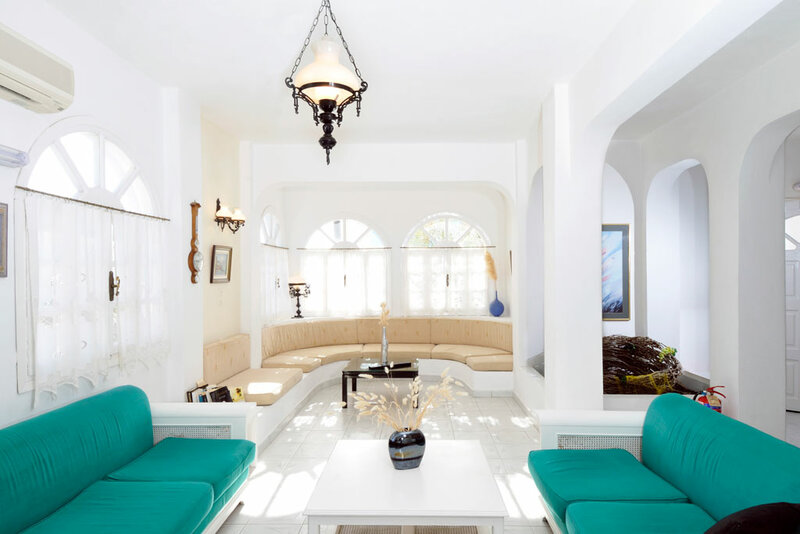 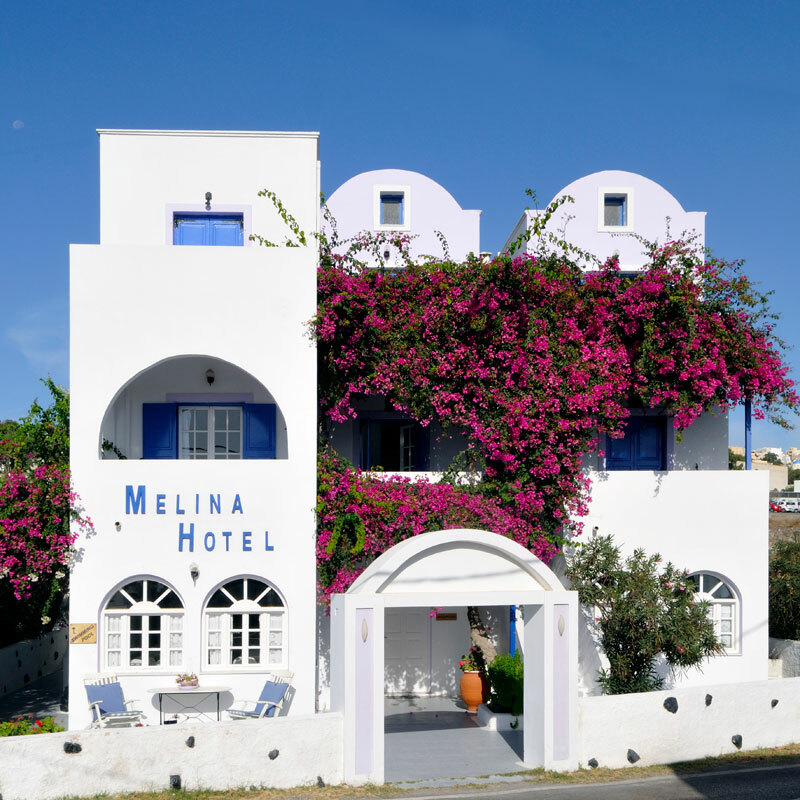 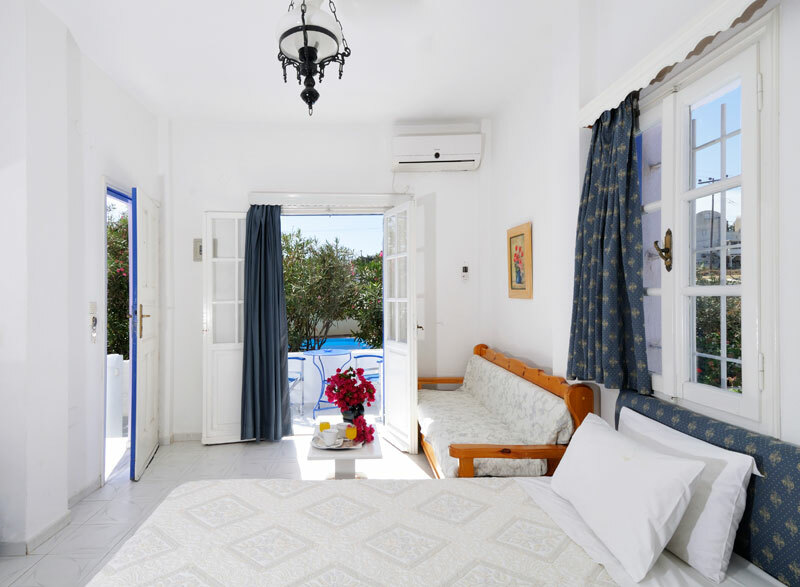 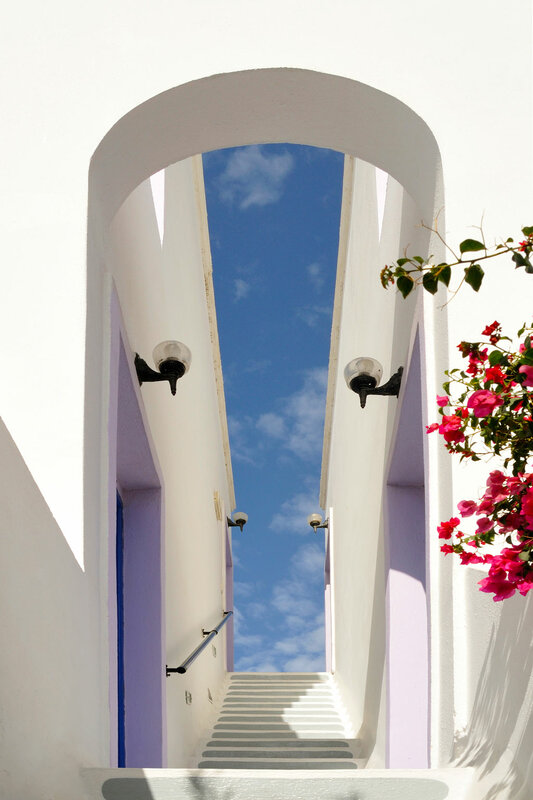 Hotel Melina is built in traditional Cycladic architecture, being located in Fira, the capital of the island. 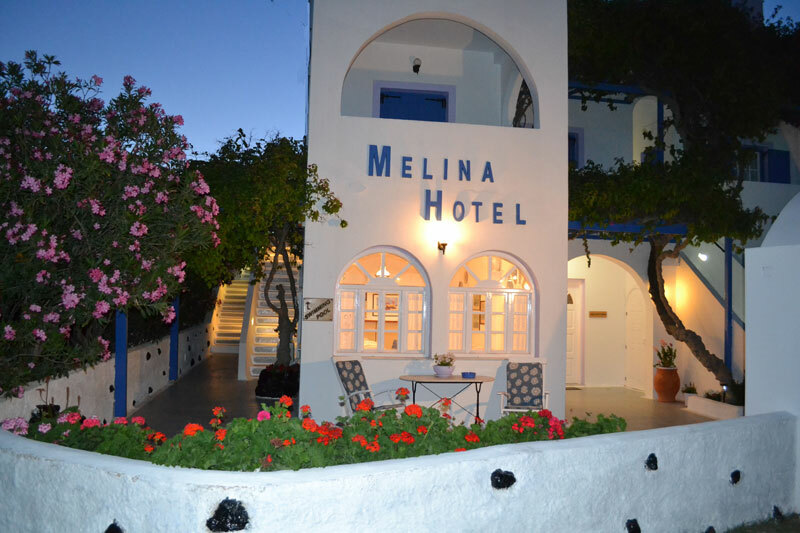 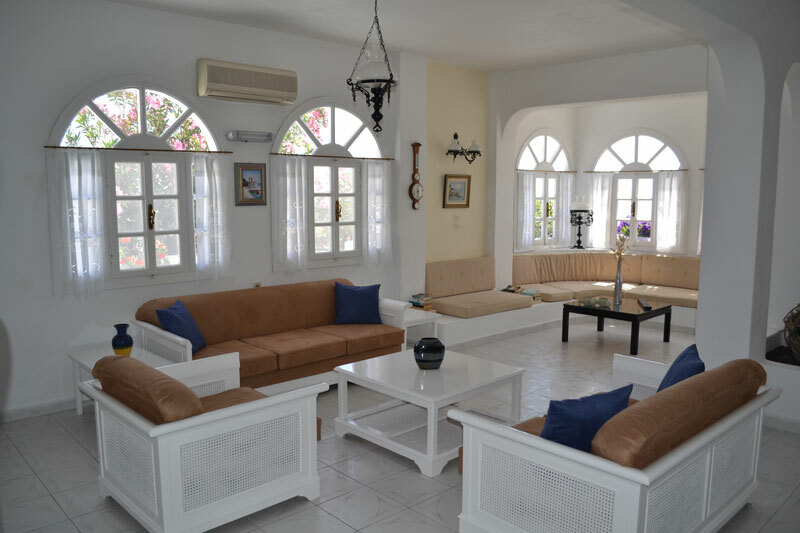 Melina Hotel is the best choice for your holidays because its location and the facilities it offers makes it an ideal residence as your relaxation can be combined with the entertainment opportunities of Santorini. 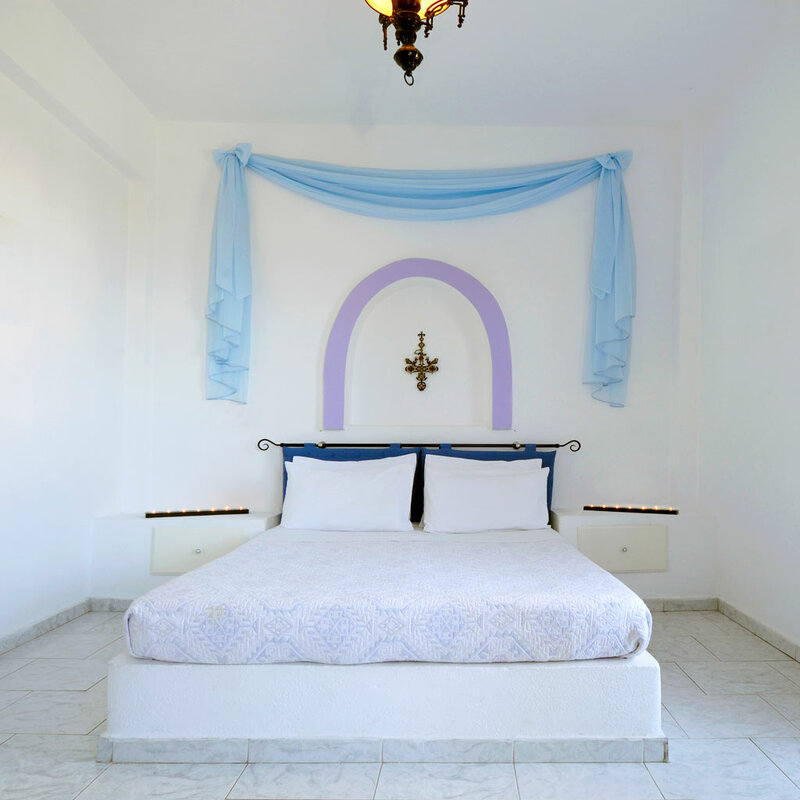 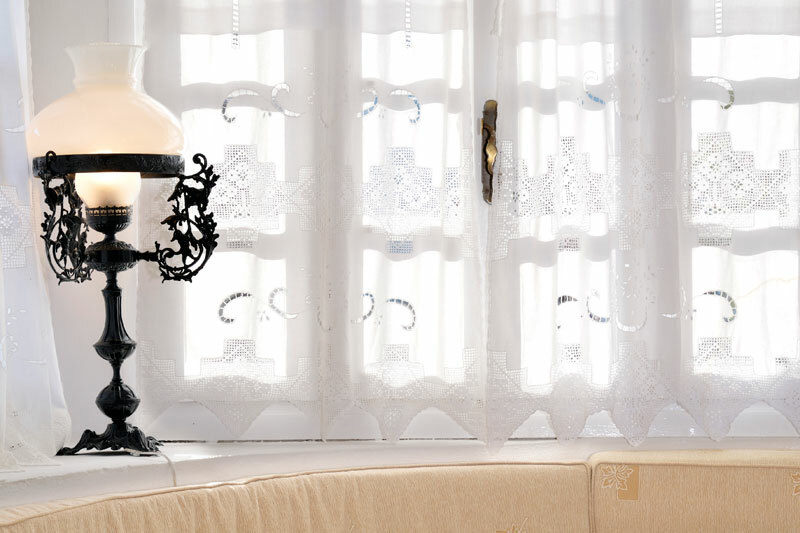 Hotel Melina is situated at an idyllic location of Santorini. 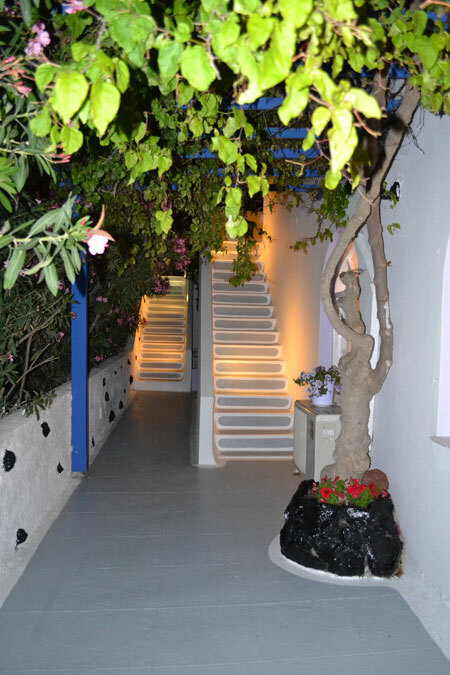 In particular, it is located in the main Santorini town (Fira), 4 km from the airport and 8 km from the port. 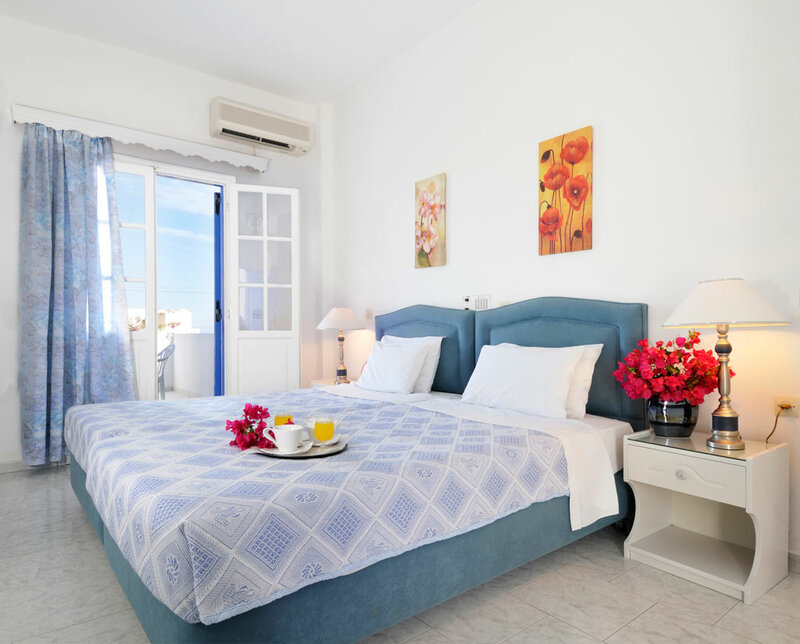 There is easy access to all sandy beaches of the island. 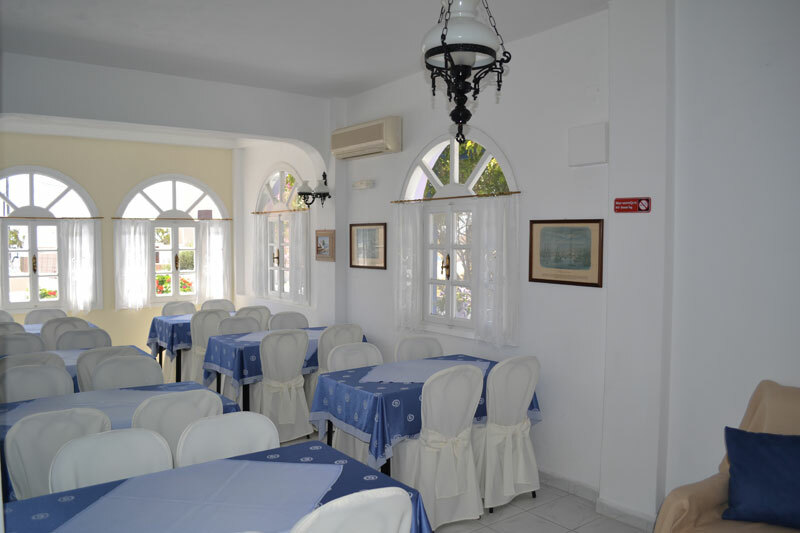 Places of interest like shopping centers, cafes, taverns, restaurants, nightclubs and the breathtaking view of the volcano, for which Santorini is famous, are all within walking distance. 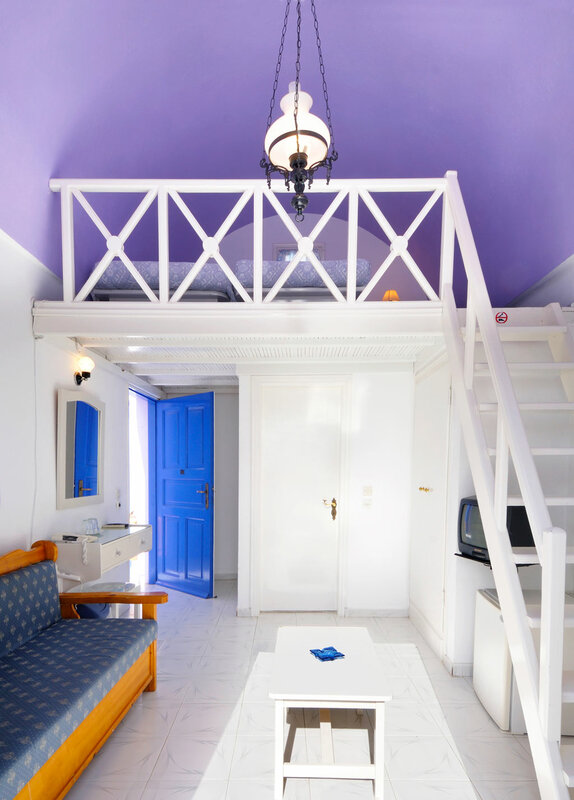 There is easy access to all parts of the greater Santorini from Melina Hotel using public transportation, and it is very easy to find a bus or a taxi at all times. 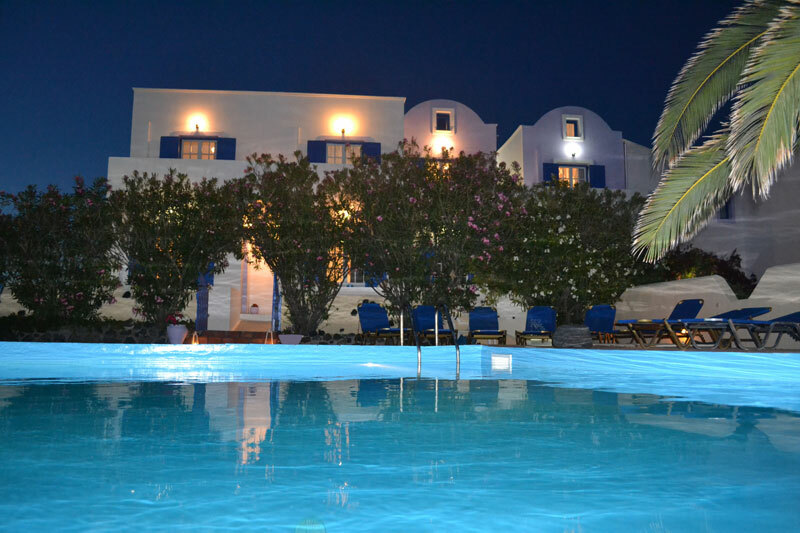 Transfer can also be arranged on request for 13 Euro per person/ round trip. 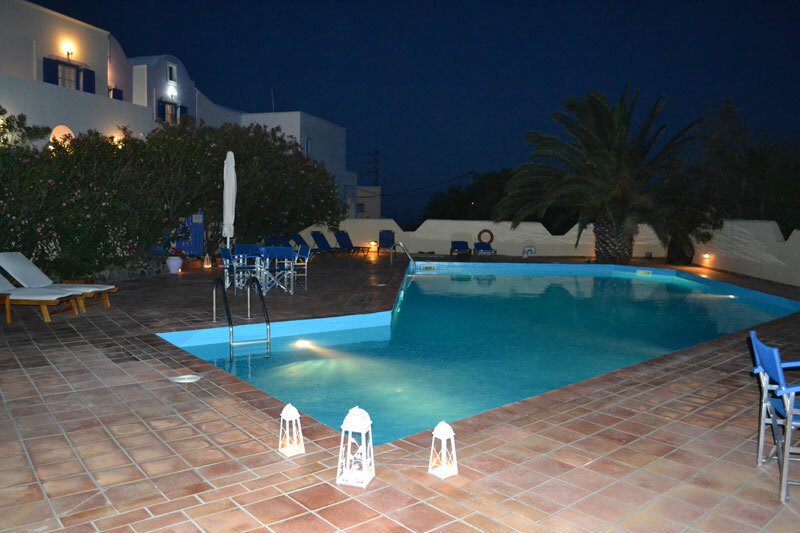 Private tours around the island (Santo winery / wine tasting, Profitis Helias mountain, Akrotiri excavations, Red Beach, Perissa - Perivolos Beach, Sunset in Ia).